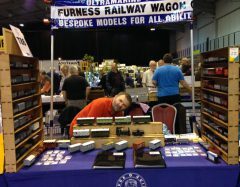 Bespoke ‘O’ Gauge Kits and Ready to Run Models for all levels of Ability and Experiences. Originally formed in1999 as a university degree project, to demonstrate how new technologies could be applied to model making. We are model makers, who manufacture kits that we enjoy building and want to share with other model makers. Most of our kits are manufactured in limited productions runs, giving the customer a bespoke model without having to scratch build their own. We are constantly increasing our range as many customers commission new wagons. We will look at manufacturing any prototype as long as the initial order is for at least the 10 kits. We now also offer a kit building service for any kits not just our own. Our kits span 4 skill levels, ranging for those designed for beginners and improving the skill of the modeller, to expert level which would be an all brass locomotive, for example. Designed for someone who has never built an Airfix Kit. Designed for someone who has already built some basic kits and would like to move up to the next level of difficulty. Designed for someone who has already built some novice kits and would like something more challenging, but don’t feel quite confident enough to take on an all brass kit. An all brass kit not for the faint hearted but if you can build one then you can build most brass locomotive kits on the market. If you are still not confident in building, then we do offer a Ready to Run service. The RTR price is finished in plain Grey or Red oxide above the sole bar and black running gear. Lettering and other finished are extra. Hi. When is the kit for the FR 2-4-2 likely to be available. Hi Sorry for not replying earlier. We are hoping for the 7mm FR 2-4-2T and the Cambrian 2-4-0T available for ALSRM Reading Show in May. The 2-4-0T will be operational at the Blyth and Tyne show at Newcastle at the end of April. The other Sharp Stewart Locos will follow in due course. how does one order on line? Greetings chaps. I am modelng Welsh Valley railways and I would like to ask a couple of questions if I may. Your Brecon & Merthyr and Cambrian coaches; are they O gauge and are they plastic or metal? Your N.E.R. P class locomotive; same questions as above plus when will it be available? Can I apologise for the curt feel to this note, I am 71 y.o., myopic and am sending a message from my mobile phone for the first time. I feel I’ve been doing it for a week! Hope this gets to you O.K. All our kits are built with the most appropriate for the job. This means that if the component was originally made from steel we try to etch or cast in metal but were a component was originally wood it is produced in plastic. This means that the sides and chassis of the coaches are plastic and the ends, running boards, roof and brakes are brass. Greetings Mark. Many thanks for your reply. Did I see a price list for the B&M coaches? My records shew a lot of them were built ~ 1887-1889 by Metro C&W. Are these them? Lastly, do you have a production date and price? I would like to make a firm order for one. Where does the B&M and NER tie together? Long story but I need them both. I take it both are O gauge. Many thanks for your input. Graham. Sorry Mark. My typo. ‘One’ in previous message refers to the P class. Obviously the carriages will be multiple. Graham. The B&MR coaches are the ones bought from the LSWR. The were also the ones sold to Col. Stephens Railways around the country. They are 28ft long were as the NER coaches are 32ft6. There is no real connection between the two sets of coaches apart from I can run both sets on our layout with a stock change. Both set should be on show at Kettering next month. Hello Marc. Thank you for the update. My tie-up between the NER and the B&M is I’m modelling the pre-grouping railways that worked into Merthyr; and my late wife. She was a Geordie, which is why I’m looking for an O gauge NER P class locomotive (LNER J24). Are you still intending to make that model? On another tack, I have looked up the only reference book to hand; ‘A register of G.W.R. absorbed coaching stock’ by E. R. Mountford’ and the B&M section only shows one ex L.S.W.R. coach which fits the 28′ wheelbase criteria. It’s a 4W, 3comp/guard combined: No. 70, purchased 1910. All the others are the wrong number of compartments; 4 instead of 6 wheels or are 32 or 33 feet length. Could you let me know the source of your info as there is every chance mine is screwed! The LSWR coaches were listed in Vol.1 of the LSWR coach books. They didn’t live long in GWR hands as they were sold to the Bishops Castle Railway. Hello Marc, thank you for the reply. Any idea on prices for these carriages? I take it they are O gauge. Plus do you have a lead time on your J24? I’m gasping to spend money! Graham. 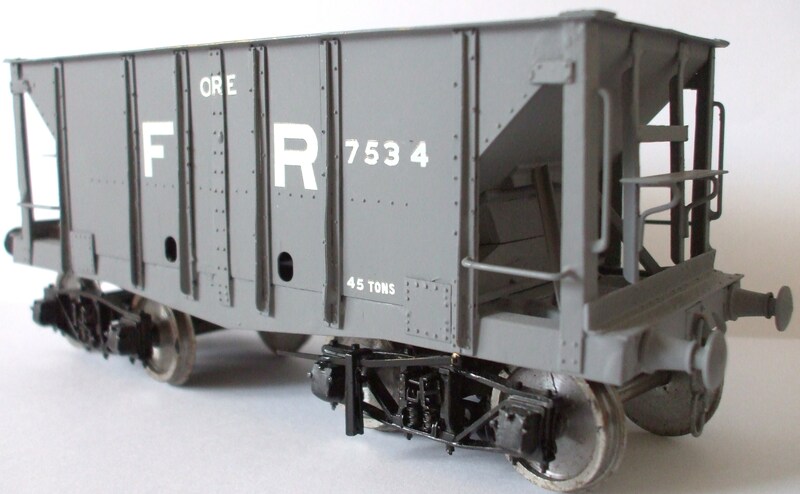 The LSWR coaches are available and cost £100 for a kit, £200 RTR finished in Grey primer and £270 painted. The NER coaches are just waiting for an etched part which should be here in the next few days. As the NER coaches are a little larger the will be £120 as a kit, £225 RTR finished in primer and £290 painted. As for the Class P we have had to holt production of locos as we still haven’t solved the motor issue, ie there is nothing out there that will fit in the locos. Thank you Marc. When the problem is solved please put one to one side for me and let me know here, on my email or ring me on 01362 420060. Marc, Taff Vale Models have a 1525 can motor which should fit a J24/P class with an MSC gearbox driving the rear axle. Taff vale are actually developing their own gear box which we are using to develop the sharp stewart locos which are being released in the next few months. We are also hoping to use this gear box on the J73 and the J24. if all goes to plan we should have a prototype ready for telford.